Its working, except the "navigation" keys: arrow keys (left, right) and for the numpad directional (when you turn off NumLock) numbers 8,4,6 and 2 don't work. In the example above, when I press D, print string shows True, when I press arrow key Right, nothing happen, I don't get True or False, but if I press any other key (except the keys I comment before), I get False. Anyone know if/how its possible to make the arrow keys work with onkeydown override function? Rgiz I am having the same problem... I checked the video and I made the class focusable, but still not able to recognize the navigation keys. I just tested this and, on my end, it seems to work like you'd expect. When you press arrow keys (left or right) the print string print something?? Same here for the numpad (with numlock off) I got a "None"
Yup, that's what I learnt today! 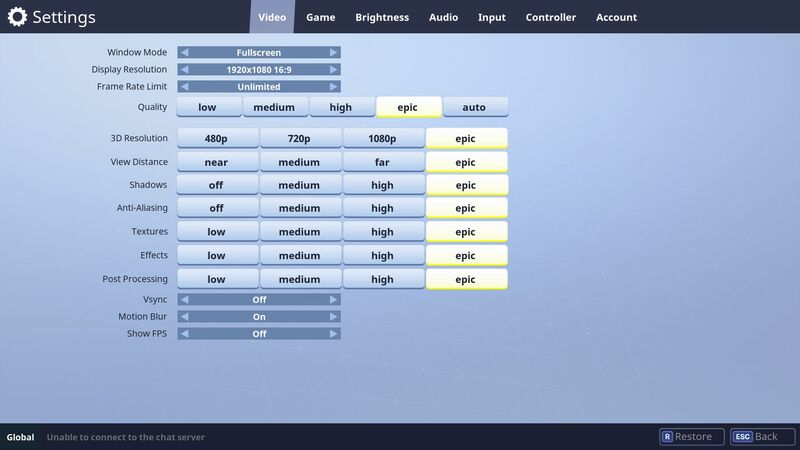 What Im trying to do is a text switch button, instead of using the combo box to add resolution, shadow quality, etc, I want to do something like in the image below, from Vanish of Ethan Carter, Fortnite have this as well but its not added in the engine.. yet. You should be able to achieve this by giving the desired widget keyboard focus. Is it not working? Is each line in your setup a custom widget? Wasn't the original problem that your numpad keys acted funny... ? Not sure if I follow as keyboard navigation has always worked fine for me. Anyhow, good luck with the rest!